Our tour of the London boroughs moves east. Jon Vanner, a resident of east London since 1992 and of Waltham Forest since 2009, brings us a guide of things to do there. The first all-British powered flight took place on the Walthamstow Marshes in July 1909. The grandly-named Alliot Verdon Roe took to the skies in his Avro 1 triplane. Walthamstow Marsh was not his first choice of venue, he was turned down from Wormwood Scrubbs and Wimbledon Common so by default Walthamstow earned its place in aviation history. The AVRO aviation company later went on to build Lancaster Bombers which were instrumental in the Dam Busters raid of WW2. See the Shady Old Lady blog for more details. The Nag’s Head in Orford Road E17 is not the only pub in Walthamstow Village, but it's by far the best. Located in a perfectly preserved early Victorian building, with the original coach house (now a private dwelling) next door, the pub has both a beer garden and a front terrace. The Nag's Head is at the heart of village life, with regular jazz on a Sunday, pilates and drawing classes in the Madame La Zongas room upstairs. They also keep a good cellar of real ales, fancy lagers and serve great Italian food. Even cats are welcome and can be seen doing their rounds of the bar and garden at regular intervals. From the comments: there's a lot of love for the Rose and Crown in the comments; Antic's The Red Lion crops up more than once and of course there's the William IV / Brodie's Brewery. 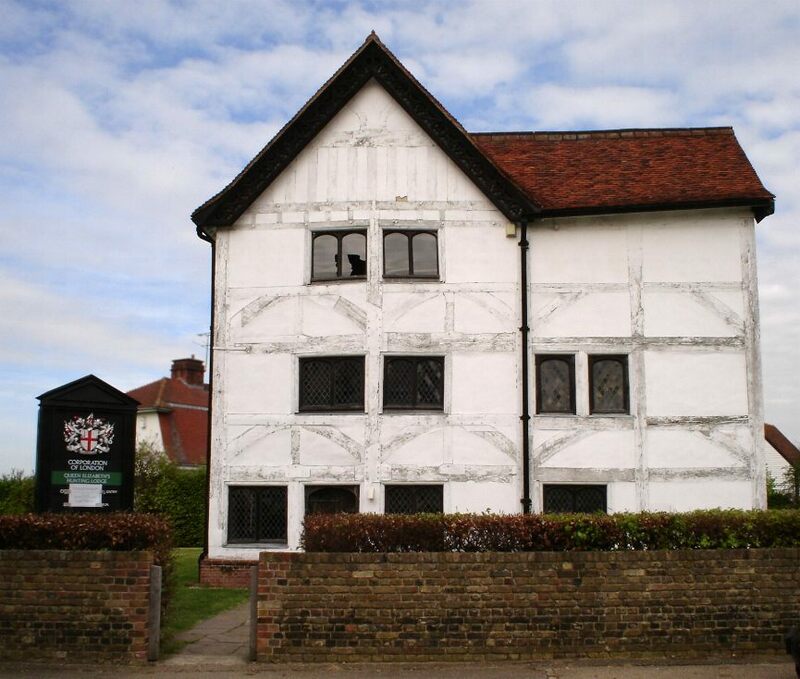 Queen Elizabeth’s Hunting Lodge, Rangers Road, Chingford, was built for Henry VIII in1543. The monarch’s guests could view the Royal Hunt and even join in by firing their own arrows from the upper story. Today, it's one of only a few timber-framed buildings surviving in the borough (another notable one being The Ancient House in Walthamstow Village). It's now owned by the Corporation of London and open to visitors, who can enjoy the exhibition in the kitchens of what the Tudors ate (quite a lot is the short answer) and also visit the upper stories and see the views that the hunting parties would have enjoyed over 550 years ago. It was Londonist's Museum of the Month a while back. 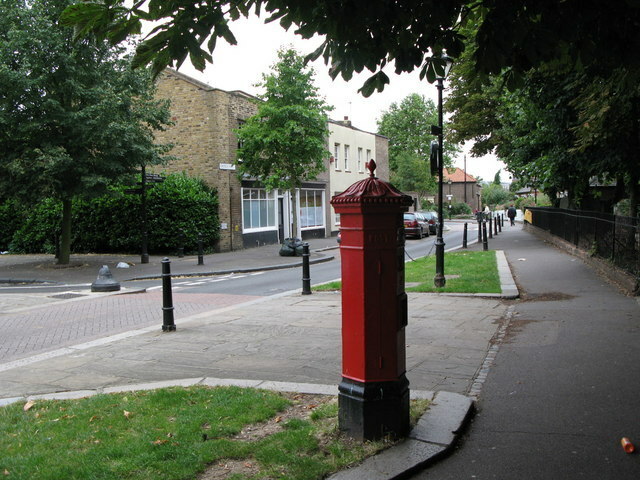 The hexagonal Penfold pillar box stands on Church Road, outside St Mary’s Church Walthamstow. Designed by John Wornham Penfold in 1866, these hexagonal pillar boxes were once a common sight in London though few have survived. Sadly, the one in E17 is now sealed up so you can no longer send a letter by penny post inviting your great aunt to tea. If you're a fan of the cartoon Danger Mouse — the crime fighting, pillar box-dwelling rodent — you may be interested to know that his spectacle-wearing sidekick was named after the designer of these London landmarks. Waltham Forest Town Hall (formerly Walthamstow Town Hall). This beautiful example of stripped classical 20th century architecture was designed and built by PD Hepworth between 1937 and 1942. It's made of Portland stone and influenced by Swedish buildings of the interwar period. Although it now has Grade II listed status, it's not frozen in time, but plays an important part in the life of the borough. The assembly rooms to the side have hosted concerts by such notables as Placido Domingo and Yehudi Menuhin. A lesser known fact is that beneath the coat of arms foundation stone (laid in 1938) is a time capsule of plans and keepsakes, so in generations to come people can have insight into the lives of people in the borough just before the war. Trattoria La Ruga is a fantastic Italian restaurant in the centre of Walthamstow Village. It serves delicious fish, meat and vegetarian dishes, all freshly cooked and packed with flavour. The menu is all in Italian and regular diners enjoy the ritual of the waiter explaining each item and making recommendations. They also make their own fresh bread, which is usually accompanied by the waiter’s slightly stale joke ‘freshly made last week’ boom boom! Their puddings are every bit as good as the savoury dishes and if toffee bread is on the menu you MUST try it. From the comments: bit of a discussion about whether the Orford Saloon Tapas Bar is better than La Ruga. Butler's Retreat Cafe next to Queen Elizabeth Hunting Lodge sounds intriguing. The William Morris Gallery is the former childhood home of William Morris, one of the founding fathers of the Arts and Crafts movement. It stands in a double bow-fronted Georgian villa dating back to around 1750 and William Morris lived there between 1848 -1856. It contains many artifacts, such as tapestry, wallpaper, furniture and tiles all showing Morris’ genius for design. It also houses objects from other Arts and Crafts luminaries such as Ford Madox Brown and Edward Burne Jones. The museum was originally opened by prime minister Clement Attlee in 1950. Over the past couple of years it has undergone extensive restoration and has just reopened to the public. One of the highlights currently on display is Grayson Perry’s Walthamstow Tapestry. The best thing is that you get all of this for free as there's no entrance fee. 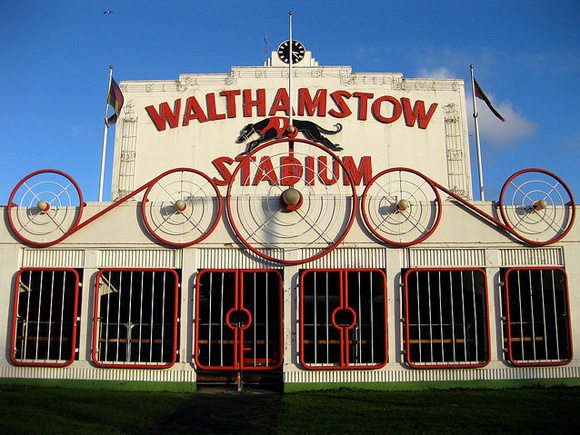 Walthamstow Stadium or Walthamstow dogs to most people, was a greyhound racing track that opened in 1933. Sadly, in 2007 the last greyhound hung up its running shoes and the electric rabbit did a lap of the track for the last time. This has been a cause of great sadness to the locals and there is a campaign, Save our Stow, to get it reopened — so far their pleas have fallen on deaf ears and there's a plan to build houses on the site. The stadium has a fantastic art deco frontage and a matching scoreboard inside the arena. It was also home to the local speedway team the ‘Walthamstow Wolves’ in the late 40s and early 50s as well as hosting stock car racing during the 1960s. You may be interested to know that London once had 33 dog tracks, of which only three survive. 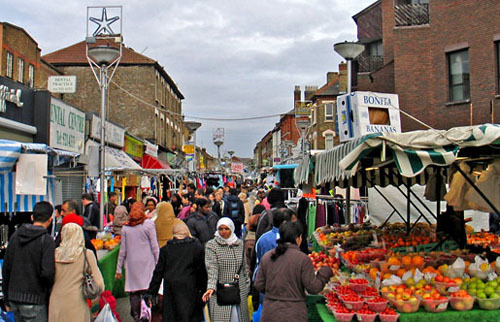 Walthamstow Market claims to be Europe’s longest street market and occupies all but the last 100 metres of Walthamstow High Street. A cross between a typical East End street market and a souk, there's no better place to see the vibrant, multicultural character of the borough. The discerning customer can take their pick of fruit and veg, spices, look-a-like designer gear, sari fabric and batteries among the myriad other items on sale. The market began in 1885 and operates everyday except Monday. On Sundays it hosts a farmer’s market and occasionally on Saturdays our Gallic cousins from across the channel, who come to tempt us with French cheeses. From the comments: Elph recommends Wood Street Indoor Market. This is almost impossible to answer, as the crop of great people from the borough inhabits almost every category from politics, media, sport and the arts. From Fanny Craddock to David Beckham, William Morris to Derek Jacobi, Benjamin Disreali to Damon Albarn. We'll let you choose your favourite. Ours is Leytonstone’s very own Alfred Hitchcock, film maker and master of suspense. He was born in 1899 at 517 High Road Leytonstone and his name lives on locally in the Alfred Hitchcock Hotel on Whipps Cross Road E11. 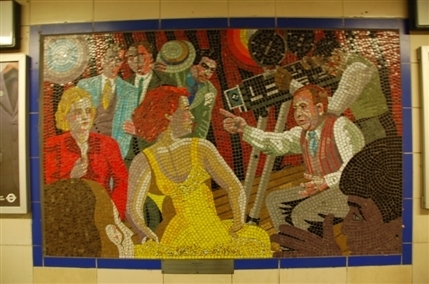 The entrance to Leytonstone tube station also has 17 glass mosaics showing some of his most notable films. 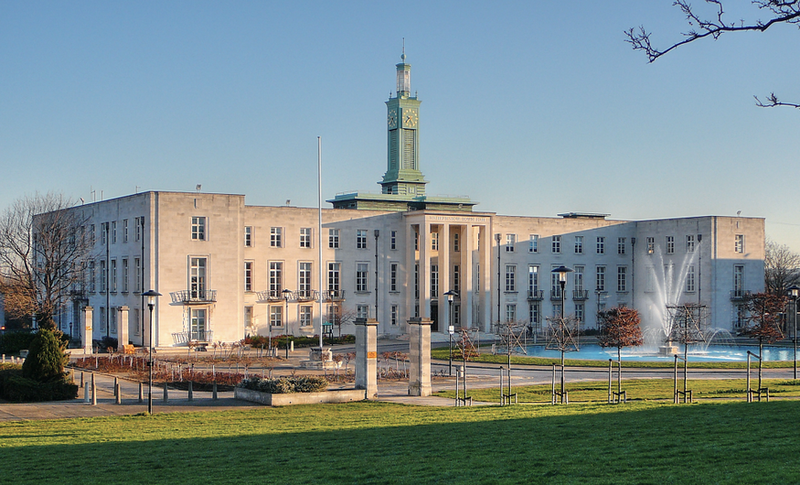 Got your own favourite Waltham Forest tips? Let us know in the comments below and we’ll add them to the article. Other instalments in this series: Barnet, Brent, Bromley, the City of London, Ealing, Enfield, Hammersmith & Fulham, Haringey, Hounslow, Lambeth, Lewisham, Redbridge, Southwark, Wandsworth, the City of Westminster.